We chose RMCAD because they are a United States-accredited, boutique college for the arts that gives every student personal attention! As a community of creatives, RMCAD is dedicated to the personal success of each RMCAD student – on campus and online! Rocky Mountain College of Art + Design is an innovative, rigorous and community-oriented global learning environment that inspires passion for critical thinking and prepares learners to be forces of change in the creative industries, our communities and the world. RMCAD alumni have gone on to create work that’s been featured in global blockbuster films, internationally syndicated cartoons, tv shows and books, Elite Traveler & Lifestyle Magazines, and developed branding for global sports, entertainment and interactive brands. RMCAD’s online learning platform was built from the ground up with a focus on the learning styles that are unique to art and design. RMCAD’s online classes offer a visually-rich media experience that includes instructor demonstrations, video lectures, written and audio critiques, white board functionality, online discussions, and one-on-one, in addition to group reviews. Online courses and programs deliver the same curriculum, learning goals and objectives, and interactive experiences as on-campus courses. The online learning experience has been carefully developed by a team of faculty, instructional designers, multimedia designers, and assessment professionals. Student success and quality curriculum standards are the guiding principles for our online learning philosophy. At RMCAD, we believe that the best artists and designers are those who understand the world around them. To create meaningful work that incites change and fits into a global context, students must understand art history, mathematics, social sciences, physical sciences and humanities. For this reason, all RMCAD students take at least 48 credit hours of liberal arts coursework. Foundation Studies courses at RMCAD enable students to refine fundamental skills, get comfortable with the tools they’ll use throughout their program, and study relevant basics, including composition and color theory. Foundations courses facilitate creative problem solving and advance digital literacy. All RMCAD students, regardless of major, take between 12 and 21 credit hours of foundations coursework during their freshman and sophomore years. Business for Creative Industries B.A. In the Business for the Creative Industries program, you’ll develop a strong understanding of creative problem solving and design thinking, enabling you to approach the marketplace with a unique and well-rounded perspective. This program is designed for students who want to learn about current and developing business trends to prepare for successful management in the creative marketplace. The Bachelor of Art in Business for the Creative Industries is designed to be a hybrid of academic disciplines, which prepare students for successful careers in the creative economy. You’ll be taught by faculty members who are industry professionals and bring real-world insight to the classroom. Through RMCAD’s applied learning approach, you’ll demonstrate the skills covered by course material through engaging and dynamic projects, so you won’t just learn theory, you’ll put it into practice. In this introductory course students will learn about the basic principles and primary operations of business. Lectures, presentations, readings, and discussions examine what it takes to manage a business. Topics will include planning, organization, communication, measurement and evaluation of projects and resources, and development of both resources and management strategies including strategic behavior, strategic thinking and strategic planning. At the conclusion of this course, students will be able to understand the basic framework required for effective, creative business management, and demonstrate ability to differentiate between operations management and strategic management. In this introductory survey course students explore the basic models employed in overseeing a wide range of managerial tasks and projects within the Art + Design industry. Topics include objective models currently used in the creative approach including, but not limited to, an overview of project design and planning, resource allocation, and organizational structure. At the conclusion of this course, students will be able to demonstrate critical thinking skills in reviewing and analyzing appropriate management models within the creative arena. In this overview course students will review the core models of project management. Topics include process-flow, constructs of contemporary project management including practical applications of IT models, software to complete PERT/CPM analysis, Gantt charts, and the decision-making criteria of managing multiple resources toward the completion of projects on-time and on-budget. Lectures, presentations, readings, and discussions examine the essential elements of successful project management. At the conclusion of this course, students will be able to demonstrate understanding and use of project management concepts, flow-charting, resource allocation, budgeting and estimating to complete the project on-time and under-budget. In this introductory course students will receive an overview of the basic principles of accounting and finance, and their relationship to emerging ventures throughout the Art + Design industry. Topics include practical application of managerial accounting ratios, understanding balance sheets, Profit-and-Loss statements, core functions of the Time Value of Money, and the valuation of assets and intellectual property for start-up, fast-growth, and steady-growth businesses. Lectures, presentations, readings, and discussions examine what comprises the essential elements of accounting and finance. At the conclusion of this course, students will be able to understand and demonstrate the basic fundamentals of accounting and finance required for successful start-ups of business organizations operating within the Art + Design industry. In this introductory course students will review the core elements of macro- and micro-economics and models specifically applied to the development, launch, and growth of Art + Design firms in the private sector, as well as for not-for-profits. Topics include core economic tenets defining markets, supply and demand, revenue-costs profit functions, and competitive positioning. Lectures, presentations, readings, and discussions examine the essential basics of economics for private enterprise organizations. At the conclusion of this course, students will be able to demonstrate understanding and use of macro- and micro-economic concepts, be able to identify the necessary components of competitive positioning, demonstrate supply-and-demand, and revenue and cost comparisons for both for-profit and not-for-profit organizations. In this course students will explore the basic principles of marketing and sales, examine the synthesis of creativity models and processes, the process of developing and implementing strategies for marketing and sales, and their relationship to the digital age. Topics include the identification of the major principles of effective marketing (message, audience, image, awareness, and positioning), the various types of digital media as well as search engine tools that positively impact digital marketing and sales, and the basic technology requirements for the digital marketplace. Lectures, presentations, readings, reviews and comparisons, and discussions examine the essential marketing and selling components for private enterprise organizations. At the conclusion of this course, students will be able to identify the essential elements of a strong marketing and sales process, and demonstrate understanding and use of creative strategic process differentiation for both for-profit and not-for-profit organizations seeking to market and sell their products and/or services through digital media. In this course students will explore Creativity development process models with an expressed application to the functions of Strategic Branding for products and services in the Art + Design industries. Topics include the identification of differences between branding design and campaigns for new products and services versus the re-tooling and/or repositioning of existing products and services. Lectures, presentations, readings, reviews and comparisons, and discussions examine the essential branding components for private enterprise organizations. At the conclusion of this course, students will be able to identify the essential elements of a strong strategic branding process, and demonstrate understanding and use of creative strategic process differentiation for both for-profit and not-for-profit organizations seeking to re-tool vs. re-brand their products and/or services. 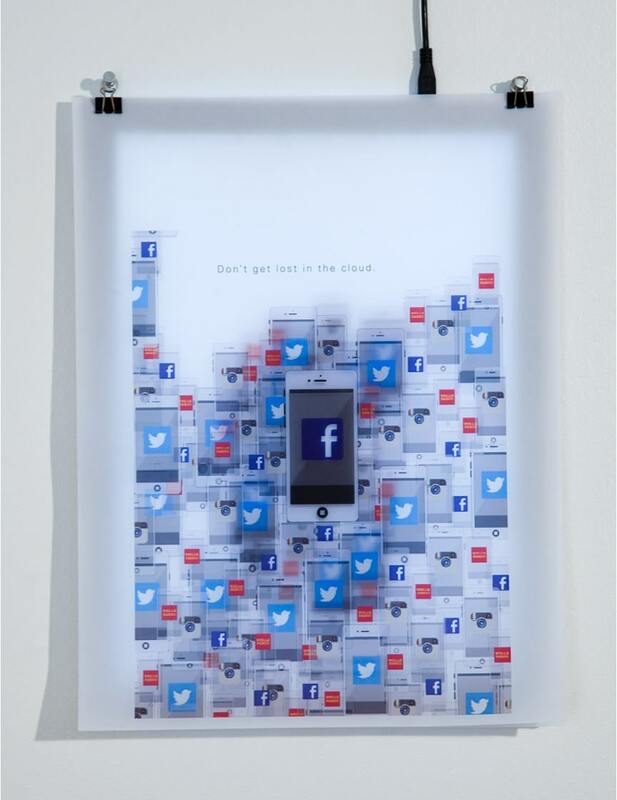 In this course students will explore the use of digital media, social media networks, design and logo strategies, and communication that is based primarily on visual imagery versus the written word. Topics include the components of an effective marketing and advertising plan, audience segmentation, product/service differentiation, design and logo strategies, and the use of digital media tracking tools to evaluate effectiveness of advertising campaigns. Lectures, presentations, readings, reviews and comparisons, and discussions examine the essential advertising components for private enterprise organizations. At the conclusion of this course, students will be able to identify the essential elements of a strong marketing and advertising plan, understand the importance of utilizing digital tracking tools to assess effectiveness of digital advertising campaigns, and demonstrate understanding and use of product/service differentiation for both for-profit and not-for-profit organizations seeking to use digital media to advertise their products and/or services. In this course students will review the models and processes for completing detailed industry analyses. Topics include core assessment methods and standards used to qualify and quantify industry scope, scale, value, employment, and sectors. Emphasis is placed on the praxis of professionally examining specific industries and segments, resulting in detailed review and analysis and commentary assessment of the findings. Lectures, presentations, readings, comparisons, and discussions examine the essential basics of economics for private enterprise organizations. At the conclusion of this course, students will be able to identify the components of a strong industry analysis and assessment process, demonstrate understanding and use of competitive scanning tools, and what specific information should be contained in an industry analysis/assessment for both for-profit and not-for-profit organizations. In this overview course students will explore the core tenets and models for contemporary executive managerial time management. Topics include the necessity of weekly/monthly/quarterly/annual schedules and value-added criteria, and the praxis of defining assessment/review and decision-making functions for managers across multiple projects, personnel, and resources oversight. Lectures, presentations, readings, reviews and comparisons, and discussions examine the essential components for effective managerial time management. At the conclusion of this course, students will be able to identify the essential elements of effective time management for singular and multiple projects. This course provides an overview of the most compelling case-situations and product-service development examples of applied creative management, drawn from contemporary markets, industries, and firms with the Creative Industries. Topics include the tangible and intangible impacts of managerial decision-making, cost-benefit analyses, and implemented strategies that both did and did not work. At the completion of this course, students will be able to demonstrate knowledge of what works and what does not work in creative management decision-making and planning. In this overview course students explore the basic principles of contemporary leadership models and styles. Topics include crafting vision and mission, leading teams, leading during times of crisis situations, leadership in turbulent external environments, delegation and decision-making responsibility, motivation/compensation models, and executive leadership from a strategic perspective. Lectures, presentations, readings, and discussions examine what comprises effective organizational leadership. At the conclusion of this course, students will be able to demonstrate understanding and application of policy-making for effective organizational leadership, and be able to review, analyze, and make recommendations for decision-making execution in case examples. In this overview course students explore very specific models and process-flow constructs in developing, implementing, and managing the Strategic Design of products and/or services, both newly developed and existing re-tooling/re-positioning, with special emphasis on the Art + Design industry. Topics include the praxis of analyzing and assessing the market environment, developing and creating comprehensive design-strategy and implementation schedule and budget for the various products and service case examples. Lectures, presentations, case study readings, discussions and comparisons examine what comprises effective design strategy. At the conclusion of this course, students will be able to understand the essential framework required for effective strategic design. This course focuses specifically on the operational and strategic uses of various digital media and online marketing systems and practices. Topics include the mechanics of online media functionality, planning, target marketing, search engine optimization, and the requirements for building media marketing campaigns. Upon completion of the course, students will be able to construct effective digital media and online marketing plans and campaigns. This course reviews all the basic components of business contract law, both written and oral agreements. Topics include business formation (C-Corp, S-Corp, Limited Liability Corporations (LLC), Limited Partnerships, Joint Ventures, Consortia), employment contracts, copyrights + trademarks, and strategies/documents for original Intellectual Property (IP) protection. Additional topics include the various forms of Memorandum of Understanding (MOU), Non-Disclosure Agreements (NDA), Letter of Intent (LOI), and cease-and-desist notices. Lectures, presentations, case study readings, discussions and comparisons examine what comprises effective business contracts. Upon successful completion of this course, students will be able to demonstrate understanding of and ability to implement a wide variety of business contracts utilized in the creative industry. This course focuses on the core models and process-flow of modern strategy, strategic behavior, strategic thinking, and strategic planning specifically applied to the role of creative management within the Art + Design industry, firms, and organizations. Topics include roles of traditional operations management alongside the latest innovations in strategic management. Particular emphasis is given to how firms and organizations develop competitive positioning within their external environment. Lectures, presentations, readings, comparisons, and discussions examine the essential fundamentals of strategic thinking and management practices for private enterprise organizations. Upon the completion of this course, students demonstrate utilization of effective strategic management principles when reviewing case studies. This overview course examines all of the pertinent technology facets employed in professional-grade, contemporary creative management. Topics include IT systems, file-sharing and document review, distance telecommunication tools, project-planning software, ERP software, budgeting software, search engines, and high-tech screening review modules for managing and overseeing the creative process of individuals and teams. The course emphasis is on practical application of tools to real-world case examples in creative management. Lectures, presentations, case study readings, discussions and comparisons examine what comprises effective utilization of technology in managing creatively. Students who successfully complete the course will be able to demonstrate knowledge, understanding, and utilization of the various high-technology tools available to the creative industries. This course examines the principles of negotiations skills, and a wide range of pedagogy and schools of thought on what constitutes effective negotiation skills. Topics include pre-negotiation valuation-assessment, strategic rankings of all potential bargaining consideration, trade-off matrices for targeted results and consideration, as well as symmetric and asymmetric signaling during the negotiation process. Emphasis is on the practical application of the “Approach-Dialogue-Settlement” process and components in case examples for personnel contracts, product-service deals, IP sharing, partnership deals, and compensation. Lectures, presentations, case study readings, discussions and comparisons examine what comprises effective negotiation strategy. Upon completion of this course, students should be able to demonstrate effective pre-negotiation valuation assessment, effective decision-making skills when confronted with trade-off matrices, and the ability to read and interpret symmetric and asymmetric signaling attributes during the negotiation process. This senior class seminar focuses on bringing together and synthesizing multiple components of ALL prior completed courses in the Business for Creative Industries program. Topics include the process of creativity and innovation, principles of creative management, topics in creative management, and technology and creative management. An internship with a creative industry organization enables the student to examine what comprises effective advanced creative project management strategy. At the completion of this course, students will be able to successfully demonstrate utilization of the complete integration of Business for Creative Industries pedagogy to develop and analyze the management oversight for two major case studies: one product oriented and one service. This course builds on prior theory presented in prior marketing and branding courses. Topics include cultural nuances that exist with visual imagery and communication in various cultures and that need to be taken into consideration when marketing products or services to an international audience. Lectures, presentations, case study readings, discussions and comparisons examine what comprises effective international digital marketing strategy. At the completion of this course, students will be able to design an effective international digital marketing plan. This Senior-level course is the first of three capstone seminars for the Business for Creative Industries Senior-project. Topics focus on synthesizing all previous coursework into design solutions for a specific product-service project targeted for a very unique client or constituency and market-environment of the student’s choice. The course enables the student to develop a project plan centered on the design issues required for the product-service project, and orally present this plan to a group of faculty and staff administrators for review and critique. This course, the second of three required capstone seminars enables students to integrate all prior coursework into an oral presentation for the company or organization at which the student is interning to present the overview of the project the student has engaged in completing for the company or organization. The presentation would include identification of the problem, the competitive marketplace scan/analysis, and a preliminary estimate of the tools and resources required for completing the project. This third and final required capstone seminar enables students to focus on synthesizing all previous coursework into a personal line-up of Creative Management tools employed in developing, overseeing, and delivering product-service projects on-time and on-budget. The student would present the final budget and resources part of the entire plan to the organization with which the student is interning. This final course in the capstone project enables the student to make a formal presentation to the organization at which they have been interning that demonstrates how the student’s learning experience in the Business for Creative Industries has enabled the student to present a comprehensive plan for the project the organization has agreed to have the student oversee. Written critiques will be submitted by the organization to the student’s Faculty Chair and Advisor. In the first of the sequence of required courses in the history of art, students explore the major artists, movements and artistic themes of the Western tradition, beginning with prehistoric art and concluding with Medieval Art. Lectures and readings examine ways in which artists conceive of religion, society, politics and the role of men and women within their historical and stylistic context. In addition, the course considers various media and materials, such as painting, sculpture and architecture, and the fundamentals of design and composition. At the conclusion of this course, students will recognize a broad range of artists, works, and styles from ancient to medieval art. Further, students will learn basic methods in discipline of art history, such as formal analysis, and write knowledgeably on topics from ancient to medieval art (Formerly AH 1010). In the second of the sequence of required courses in the history of art, students explore the major artists, movements and artistic themes of Western tradition, beginning with the Renaissance and concluding with Post Impressionism. Lectures and readings examine ways in which artists conceive of religion, society, politics and the roles of men and women within their historical and stylistic context. In addition, the course considers various media and materials, such as painting, sculpture, and architecture, and the fundamentals of design and composition. At the conclusion of this course, students will recognize a broad range of artists, works, and styles from the Renaissance and concluding with Post Impressionism. Further, students will become familiar with relevant art theory and methodology, learn to conduct research within the discipline of art history, and write knowledgeably on topics from the Renaissance to Post Impressionism. In this course, students explore the major artists, movements and artistic themes of Fauvism through the modern period. Lectures and readings examine ways in which artists conceive of religion, society, politics and the roles of men and women within their historical and stylistic context. In addition, the course considers various media and materials, the fundamentals of design and composition, and global/cultural perspectives. At the conclusion of this course, students will recognize a broad range of artists, works, and styles from Fauvism through the modern period. Further, they will become familiar with relevant art theory and methodology, learn to conduct research within the discipline of art history, and write knowledgeably on topics from Fauvism through the modern period (Formerly AH 1030). Students may choose to take either AH 3010 Topics in the History of Western Art or AH 3500 Topics in the History of Nonwestern Art. Please see the most recent catalog for course descriptions. In the last of the sequence of required courses in the history of art, students concentrate on nonwestern topics and themes. Advanced studies are designed to allow students to focus intensively on themes, issues, methods, and theoretical frameworks that define nonwestern artistic traditions. Lectures, readings and assignments emphasize research, writing, and oral presentations. Topics vary from one term to another. Sample topics include: Arts of China, Arts of Japan, Religion and Art in the nonwestern world, and modern Latin American art, etc. At the conclusion of this course, students possess a deeper understanding of art historical movements, methods, and theories from the nonwestern world. Further, students refine and deepen their research and writing skills, researching and writing knowledgeably on topics from the course. This seminar and research course addresses important historical and contemporary developments in visual communication. Beginning with the roots of pictorial and written languages, the content moves to key 19th and 20th century periods, including the emergence of the Bauhaus and typographic history, then culminates with the contemporary scene. At the conclusion this course, students will have engaged in reading, writing and verbal critical thinking skills, both as individuals and in teams. Students will understand the embedded relationships between graphic design, culture, technology and society. This course offers the beginning illustration student a broad view of the major personalities who influenced the illustration field. Examining how past illustrators conceived and produced their artwork for the mass media, this course uncovers the roots of style, and reveals the singular philosophies that shaped the major avenues of illustration. By the end of this course, students will exhibit increased skills and knowledge in reading, writing, and in employing analytical skills in evaluating the influences of the past in shaping visual storytelling styles within American culture. This sophomore-level course provides a survey of the history of the built environment based upon architecture and interiors from antiquity through the 20th century. Students investigate and document period design within the context of the cultural, sociological, and technological issues of each era including interior and exterior architectural elements, furniture, design motifs and ornamentation. Upon successful completion of the course, students will have the ability to identify and evaluate the elements of architecture and interiors for each period studied, and apply those skills to period renovation, restoration, or to reinterpret historical design elements for current use. This course explores the history of photography from its beginnings in the 1830’s to current developments in photographic practice. Lectures and readings examine major schools of photography (i.e. pictorialism, formalism, straight photography), as well as technological developments and photographic processes which expand the possibilities of the medium. Photography blurs the boundaries between art, science and document, challenges our conception of reality and raises questions about authenticity and artistic merit. The goal of this course is to develop a better understanding of the complex history of photography, its diversity of social functions, its affect on our modern vision of the world, and to address the theoretical questions inherent to this modern medium. At the conclusion of this course, students possess a deeper understanding of the history of photography. Further, students will conduct research and write knowledgeably on topics from the history of photography. The field of animation merges the arts of acting, design, illustration, sculpture, and filmmaking with today’s technology. To be successful, animators must understand how to use technical tools and professional production techniques to create strong narratives. That’s why RMCAD’s curriculum is focused on creating compelling content to tell stories. Whether you choose to pursue 2D or 3D animation, you’ll graduate with a portfolio reel that will set you apart by showcasing your unique artistic voice, a strong visual style, and the ability to communicate through animation. You’ll hone your artistic skills through collaboration with students from other departments so that your work is well-rounded and unique. In this freshman-level class, students will receive an overview of how their animation studies relate to current industry practices for creating animated films, emphasizing how every phase of the creative process supports the storytelling function of a film. Students will learn to analyze animated and live action films, from television commercials, to three-minute shorts, to feature length movies, to understand how narrative content is delivered in different contexts. At the conclusion of this course, students will have completed assignments analyzing the visual form and narrative form of a variety of films, and projects demonstrating their ability to recognize and apply the basic components of visual storytelling in their own work. This studio based course will explore the foundations of digital painting and how it applies to every level of the production process. Students will learn the fundamentals of color, composition, blending modes, custom brush creation/utilization and working resolutions. At the conclusion of this course, students will have applied these skills to a variety of projects from speed-painting, to matte painting and paint-overs. The emphasis of this course is on developing imaginative concepts, using the language of film and animation through the storyboard process. Students illustrate animated story ideas, focusing on expressive character development, layout and set design. At the conclusion of this course, students will be capable of using the storyboard process to write animated story ideas, utilizing elements of composition, camera angles, continuity, character and motion dynamics. The thesis proposal review is the animation student’s opportunity to present their thesis proposal with all supporting documentation to a panel of RMCAD Animation Department faculty, and receive feedback to guide the student toward successful completion of their thesis classes. Prior to the review, students receive a form that, when completed, defines and explains their proposed project in detail. Approval of the Thesis Committee is a prerequisite for registering for AN2D 4861 or AN3D 4861. The Senior Portfolio Review is scheduled during the same term as the students Animation Thesis II class. The review begins the student’s preparation for the graduation exhibition and for transition from the academic environment to the professional world. The student’s demo/graduation show reel is critiqued by department faculty, and post graduation plans are discussed. Students who are enrolled in this review will conduct their portfolio review during their Animation Thesis II course meeting time. In this course, students explore methods of developing individual stylistic approaches for designing organic assets with a particular focus on how design supports the storytelling function of the production. Developing a unified design approach to a production, and studying how color can be used to help tell the story, are also studied and practiced in this class. Upon completion of this course, students will have a greater practical knowledge of the key role design plays in an animated production, and how this integrates with the narrative content of the film. Students will also learn the techniques used in 3d programs and digital sculpting programs to create high quality organic models. By the conclusion of the course students will have created finished 2d designs of organic assets for their portfolios as well as 3d models derived from those designs. This senior-level animation course is a continuation of 3D Computer Animation Motion Studies. Students further develop their skills, insights, and knowledge of character animation through more advanced assignments. Studies will involve animal movement such as advanced bipedal walks, runs and other forms of locomotion. Quadruped motion will be covered, as well as avian flight. Students gain insights into the relationship between storytelling and character animation, with emphasis placed on acting and performance, combining lip-sync dialog with characters in a specific activity or conflict. Students may be directed to environmental motion studies such as wind, water, fire, and smoke. At the conclusion of this course, students have completed a series of animation exercises, which are presented as a collection of finished animation tests. Building on the skills and knowledge gained in previous classes, this advanced-level course will focus on learning specific concepts and techniques for the final stages of production and will focus heavily on the post-production phases of 3D computer animation. Advanced rendering techniques such as passes and layers will be covered as well as texture and light baking and occlusion passes. Students will focus heavily upon post-production techniques including compositing, post-production effects, and output methods. As a student in the commercial photography program at RMCAD, you’ll learn the technical, ethical, and business skills necessary to thrive in the professional marketplace. Courses are current and relevant to the contemporary commercial photography industry, so you can be sure that you’ll develop a strong graphic style, learn to to create compelling visual narratives through your work, and succeed as a working, professional photographer. The program fosters the development of a unique, independent approach to the medium and provides guidance as students develop dynamic and cohesive portfolios. You’ll conduct research to learn about industry-leading professional commercial photographers and photojournalists who can provide inspiration and enhance your personal style. In the creative industry, problem solving is key to success, that’s why courses in this program have been designed to require ingenuity, innovation, and resourcefulness. This course introduces students to the dynamics of the digital photographic medium, including instruction in the areas of composition, camera functions, the use and understanding of light, digital post-production using Adobe Photoshop and Adobe Lightroom, and other essential skills that will help in the making of compelling images. At the conclusion of this course, students will have gained technical proficiency and insight into the medium through instructional lectures and the completion of assignments. Serving as the technical standards in the profession, this course, by way of instruction and assignments, guides students through digital workflow using Photoshop and Lightroom independently and in tandem, file management, color theory, visual interpretation, and the printing of their images. At the conclusion of this course, students will have gained a thorough knowledge of these important tools and be able to apply the skill sets to assignments and real life projects. This course serves as an introduction to the language of light, the interpretation of ideas and how light is an integral tool in the making of photographs. The instructive process, as well as assignments, will clearly illustrate how hard and soft light, the placement of light, along with strong content and composition, communicates unique narratives. The use of on camera flash, studio electronic flash, and available light will be critical areas of instruction. At the conclusion of this course, and through the creation of a portfolio of images, students will have a clear understanding of the qualities of light and their communicative power. Photographers regularly face unique challenges when assigned to make powerful images of individuals in varied locations, often adding light sources and using available light in their creative process. This course will instruct students in the area of creating compelling and clearly communicated photographs while on location assignments. At the end of this course, students will have created a portfolio of photographs that communicates a sense of place through their understanding of meaningful composition and effective use of lighting. This course is an exploration of photographing people. Relevant will be the instruction of the interpretative power of portraits in varied contexts. These include corporate, magazine/editorial, and new media such as social media and other web based platforms. At the conclusion of this course and students will have used specific learned skills such as lighting, composition, and context, to create a portfolio of photographs that address these categories of portraiture. In a given photographic assignment for businesses and publications, it is often incumbent on the photographer to provide their interpretive vision regarding the fulfillment of client needs. This course, through instruction and assignment-based projects, guides students through the process of research, logistics, project assessment, image production, and ethics. At the conclusion of this course students will, through the creation of a synthesized, assignment based portfolio, have a clear understanding as to how to work within the client-based culture while developing an understanding as to how their unique vision has marketing value. Due to great advances in DSLR cameras and their HDR video capabilities, the professional photographer is often called on to shoot corporate, journalistic, and personal project films and documentaries. This class introduces students to camera shooting techniques, storytelling, editing, and sound. At the end of this course, students will have an excellent understanding of all processes of DSLR including; project logistics, video production, creating and working with storyboards, script interpretation, and post-production editing software. This course prepares students in the area of studio lighting as it pertains to photographing products and people for advertising assignments. Through instruction and hands on assignments, students will learn how light and composition defines shape and form, creating a compelling visual communication. At the conclusion of this class, students will have learned how to set up classic lighting scenarios, to make modifications to the classic forms, and to use this lighting to develop a studio based portfolio. Building on skills acquired in CP 2510 Commercial Video 1, this course offers pointed instruction in the areas of increasingly effective video camera work in the use of DSLR camera technology. Now referred to as HDSLR’s as they have become progressively more relevant in the making of theatrically released films, broadcast television productions, commissioned work for companies, and commercials for marketing campaigns. Through an intensive series of assignments based on an understanding and illustration of video and editing technology, storyboarding, lighting, location logistics, and video production, students will emerge from this course through specific assignments, with a high degree of knowledge in the area of creating compelling video narratives. Professional photographers are often asked to insert their ideas into a specific project, to serve as a conduit to fulfill the needs of a client. In this course, through a series of real world examples, students will be guided through an evaluative process, that of developing ideas and interpreting needs. At the conclusion of this course students will have developed the skills to conduct research, and create a challenging series of photographs that illustrates their unique approach to problem solving and client needs interpretation. The senior portfolio review program is designed to provide graduating students an opportunity to present their work to a group of carefully selected faculty and photography professionals specific to the chosen emphasis, Commercial Photography on Photojournalism/Documentary. Through an advisory and evaluative process students will receive a clear understanding as to the status of their work and its readiness in a post-graduation environment. At the conclusion of this review process, students will have made important refinements to their portfolios, serving as a central marketing piece in their profession. This studio course prepares students with critical knowledge and practical strategies as they apply to their post degree profession in the field of Commercial Photography and Photojournalism/Documentary The central elements of these efforts are the processes of portfolio synthesis and the use of web-based media platforms supplemented by personal interactions with the organizations where marketing and photography professional interact. This course will, through instructional processes and photographic project assignments, guide students through the stages of website development using templates, social media, direct marketing, effective marketing strategies, business branding, and a universal comprehension of the business of photography. As an outcome, students will have created recent photographic work, an identity package including business cards, a template based website, established directed multiple social media pages, and involved themselves in client based professional organizations. Being one of the classic forms of commercial work, photographing the people and facilities for corporate annual reports, this course offers students opportunities to bring together diverse skills and creative forces. Through a process of research, preparing shot lists, and addressing logistical issues, students will gain insight into all aspects of these assignments. At the conclusion of this class, students will have acquired the business, technical and creative tools with which to professionally address the needs of an annual report of a corporation. Based on the concept of capturing the built landscape in its most perfect form, architectural and industrial photography is the marriage of photographic skill, technical aptitude, and artistic vision. This course uses contextual lectures, interpretative visioning, and practical experience to guide students through a process of evaluation and understanding of architectural principles. At the conclusion of this class, students will, through logistical planning and photographic assignments, have a strong understanding of the power of architectural and industrial photographs and how they communicate integrity, credibility, and vibrancy. In the development of a clearly styled portfolio of photographs, it is critical that students have an opportunity to write proposals and create a series of photographs that stays true to that proposal. In this course students will incorporate technical and logistical skills learned from previous classes such as writing, assignment logistics, lighting, and compelling compositions to develop and articulate a clearly defined project. At the conclusion of this class, students will have gained insight into project development manifested by the creation of a pointed portfolio of photographs. As a preparatory process in the transition from an academic environment to a professional one, this course serves as an important conduit for graduating students who will work directly with creative departments in corporations, graphic design firms, and advertising agencies. This hands-on experience will be manifested through the logistical processes of client communication, assignment planning, scheduling & completing photo shoots, and digital post-production. At its conclusion, students will have created a portfolio of images that reflects their understanding of the many and varied processes of assignment based work as they apply in actual, real world contexts. This is an introductory skills course for students pursuing a career in photojournalism. A rigorous process of weekly exercises of photographic storytelling coupled with instructional lectures related to working with editors, as well as assessing and defining the news value of visual circumstances, gives students the ethical, historical, and philosophical nature of the profession. As an outcome, students will have researched and produced compelling spot news photographs and short photo essays. This course addresses advanced skills and problem solving in the profession. Through assignments and instructional lectures, the refinement of techniques in news assessment, the use of available light, electronic flash, content research, and assignment logistics will be stressed. On completion of this class, students will have increased their proficiency in the both technical skills and journalistic content through research and project completion. The ability of an editorial photographer to communicate clearly and succinctly the essence of a particular person and story through their placement in an environment is perhaps one of the most important tools in the profession. 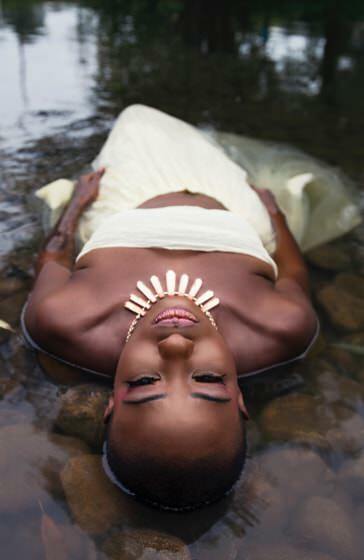 As an assignment and lecture based process, this course instructs students in both the classic and contemporary forms of environmental portraiture. At the conclusion of this class, students will have completed assignments in which they have had pre-shoot discussions with their subjects, engaged in a location scouting process, and photo shoots with a strong narrative content. As a preparatory process in the transition form an academic environment to a professional one, this course serves as an important conduit for graduating students who will work directly with regional bureaus of news agencies, newspapers, news magazines, photography agencies, NGO’s and photojournalism based web blogs. These hands on experiences will be manifested through the logistical processes of assignment planning with photography editors, researching news leads, scheduling and completing photo shoots, spot news photography, digital postproduction and image uploading. At the conclusion of this course, students will have created a portfolio of images that reflects their comprehension of editorial markets and processes, ethical concerns, and pressure based assignments. At the heart of the documentary process is the telling of a story, a photo essay as told by the subject and communicated through the creative process of the photographer. This course will use assignments and reviews of the works of noted photographers to instruct students in the visual narrative process. Included is the flow of imagery, the importance of specific, related, content, preparation of shot lists, looking for key shots, and responding to the unexpected. At the conclusion of this class, students will have used the many and varied tools at their disposal to complete an expertly photographed and designed documentary assignment with a strong narrative content. The hallmark of fashion portraiture is the communication of fashion genres within the context of making magazine and editorial photographs from a ‘street’ perspective. In this course, students will acquire expertise in the area of highly visible photographic assignments, reference the context of working within an editorial environment, research and discuss the development and evolutionary histories of fashion work as it pertains to photographing fashion models in public spaces. At the end of this course, and through pointed and rigorous assignment based projects, students will have added important logistical components to their skill sets including relevant fashion strategies, the photographing models unique to crowded, urban spaces, and understand the magazine and publishing industries importance in fashion work. Communications design uses the marriage of form, function, and imagination to create a visual language. But innovative design isn’t just nice to look at—it has a significant impact on the way we live our lives. As a communications design student at RMCAD, you’ll learn to communicate complex ideas to fit the needs of our ever-changing world. And by putting theory into practice, you’ll develop a design expression that is totally unique. The communications design program at RMCAD focuses on human-centered design, setting itself apart from others and ensuring that you graduate with a quality portfolio. You’ll complete well-rounded, challenging, and relevant coursework that teaches students to approach design with impactful communication and user experience in mind. In today’s age of immersive entertainment and media, it’s not enough to create games that simply work; they must be rich in story and able to engage audiences for hours at a time. With this in mind, we’ve created game art courses and curriculum that are focused on creating compelling content to effectively tell unique stories. You’ll learn to build engaging narratives through courses that include character + level design, animated storytelling, and motion studies. Students are encouraged to work with peers from a variety of other degree programs to hone their artistic skills and design work that is comprehensive, diverse, and professional. At RMCAD, you’ll learn to create with the vision and adaptability to necessary to succeed as a game artist. The illustration program at RMCAD allows you to express your imagination by combining tradition and technology. Curriculum begins by establishing strong traditional drawing and painting skills, which give students the ability to create imaginative and observational work. Students then apply these mastered foundational skills to tell stories in their own way, often incorporating creative software platforms to communicate their ideas to a global, diverse array of clients. We value individual voice and encourage students to find and celebrate their own. The illustration program helps students to develop conceptual, technical, and business skills necessary to succeed in the diverse field of illustration. 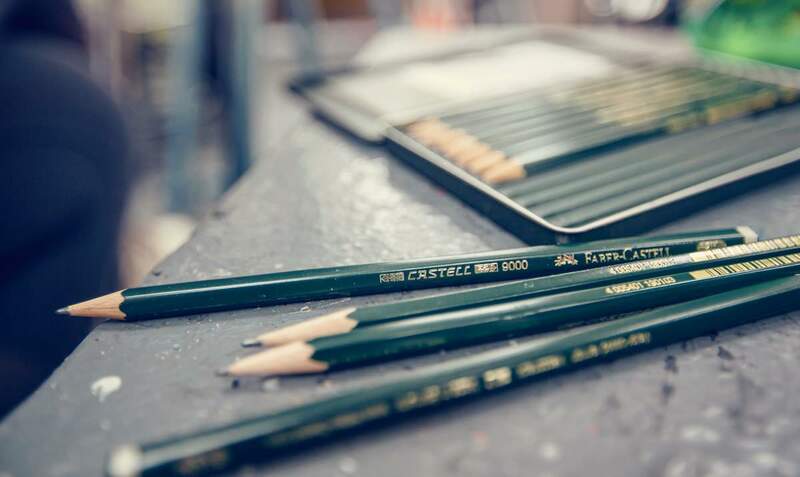 This course will focus entirely on finely rendered small-scale pencil drawings. At the completion of this course, the student will have a great appreciation of how to apply sharp-focus line drawing, fundamental perspective methods, tonal emphasis, and subtle form description as it pertains to narrative illustrations. This figure drawing course allows students to exercise and develop both observational and constructive drawing skills. Students continue their study of gesture, the effect of light and shade on form, planes, constructive anatomy techniques, and achieving effective proportion through daily drawings of the draped and undraped figure. Character development, pose, composition, and illustrative storytelling themes add interest to the studies. 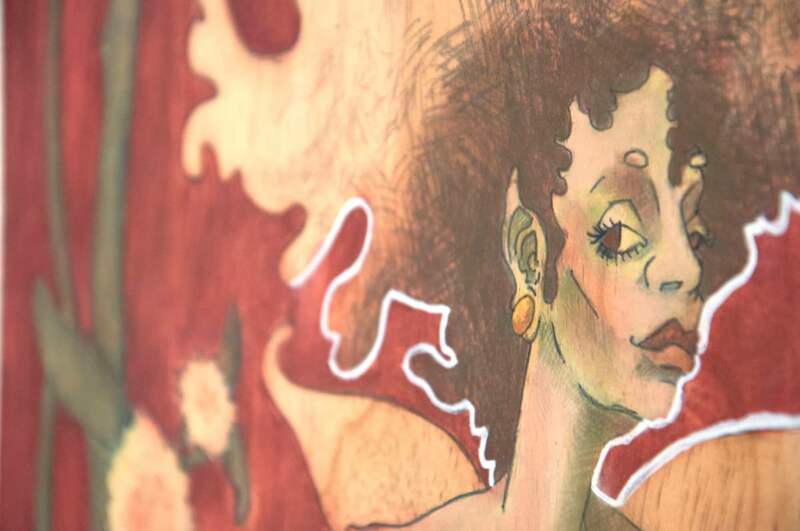 Students use charcoal, conté crayon, inks, and pastels on various drawing surfaces. At the end of this course, students shall, in a variety of media, have improved their ability to apply perceptual, geometric/constructive, and anatomical modes to the drawing of the clothed and unclothed human figure, and be able to place figures in a coherent storytelling setting. This course introduces basic acrylic painting materials and methods, using the still life as inspiration to develop the student’s perceptual abilities. At the conclusion of this course, the student will have been introduced to and understand the basics of observational painting materials and methods in acrylics, using the still life as subject matter. This course is the foundation illustration course. Students learn to apply their problem-solving skills to make narrative illustrations in various media, such as pencil, pen and ink, scratchboard, charcoal and watercolor. Students are challenged to develop finished illustrations through a series of preliminary drawings which analyze and direct the meaning of the work. Projects challenge the student’s ability to create pictures that communicate to a mass audience with impact and style. Upon completion of this course, students will have the knowledge of how professional quality illustrations are produced. They will have an understanding of how to produce preliminary sketches and to develop conceptual solutions. Students will comprehend the methods and steps required in successful compositional arrangements. They will be able to take their ideas and fully render them as a finished work of art. Students paint from live models to further develop artistic skills in this studio course. They explore the potential of the human figure as a vehicle for creative visual expression. The integration of drawing, painting, composition, color and content are important. At the end of this course the student will have created a portfolio of figure paintings demonstrating a command of color, form, gesture, and anatomy in rendering the clothed and unclothed figure. All juniors are required to participate in their departmental Junior Portfolio Review, which occurs at the completion of the junior year. This review enables the department to redirect students toward certain remedial tasks and helps them to focus on their professional objectives. At the end of this review, students and faculty have identified and discussed strengths and weaknesses in the student portfolios so that the students may address both in their upcoming major coursework. With emphasis on personal style, expressive approaches, and employing both the draped and undraped model, this course continues the anatomical, constructive, and compositional ideas introduced in IL 2650 Life Painting I. Oils and acrylics are the primary materials used in this painting course. At the end of this course, the student will have a portfolio of paintings of the model in and out of costume, demonstrating a firm grasp of a variety of techniques in oil painting. Landscape painting continues the illustrator’s study of basic oil painting materials and methods. Students further their understanding of representational painting through both studio and location work and employing plein-air studies that observe the landscape to master traditional compositional principles. At the conclusion of the course, the student will understand the basics of observational painting in oils, using the landscape as subject matter. The information age demands that the illustrator must absorb complicated text and summarize it with a single image. In the areas of advertising, editorial, and institutional illustration, the artist does just that. This course defines and develops the necessary methods required to successfully conceive and produce powerful single-image illustrations that quickly communicate to a mass audience. Studio projects will rely on the analytical method of thumbnail sketches, reference-gathering, preliminary drawings, and color studies for the production of finished illustrations. At the conclusion of this course, students will gain knowledge and skills in story analysis, compositional development, and the production of finished illustrations in a variety of techniques. A figure drawing course that utilizes pastels, watercolors, charcoal, graphite, and conté crayon to exercise and develop the drawing skills of the student. Students study advanced concepts of storytelling, costumed drapery, pose, character development, composition, and continue their study of the anatomy with particular emphasis on the head and hands. Students also examine the effect of light on form. At the end of this course, students will have a portfolio of drawings in different media demonstrating an improvement in the essentials of figure drawing developed in Life Drawing I, II, and III, with special emphasis on the expressive possibilities of the head and hands, and in-form lighting through long poses of the clothed and unclothed figure. This course is designed to inform students about the issues involved in visual storytelling. 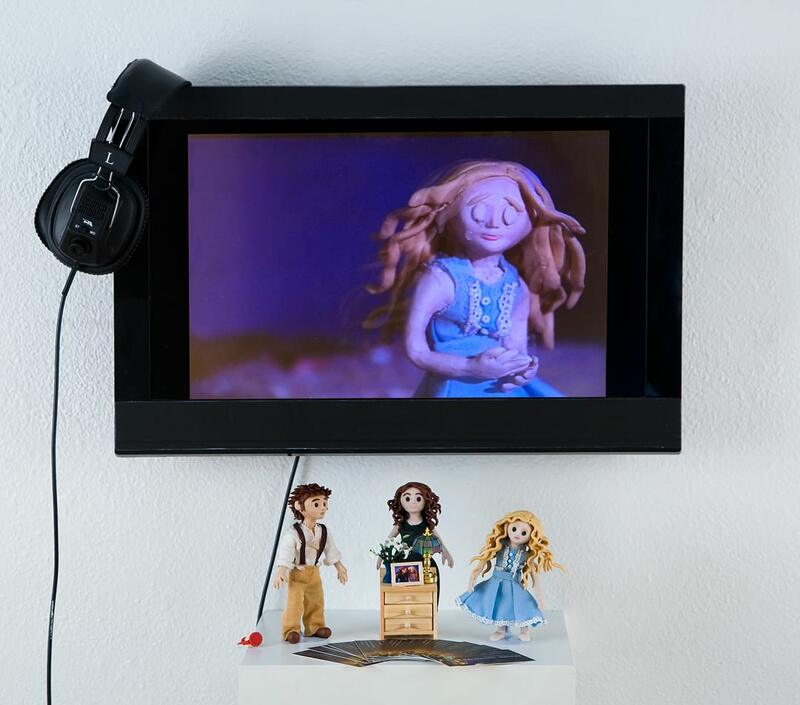 Through a series of interpretive studio projects, students will derive their inspiration from various texts, illustrating classic short stories, poems, and children’s literature. By emphasizing advanced story analysis, development process, pictorial composition, and color organization, students will analyze and develop a succession of narrative illustrations. At the conclusion of this class, the student will have a better understanding of storytelling, understanding and interpreting text as well as other basic illustration principles such as composition, communication, drawing, character and color. This course enables students to create a professional marketing plan and brand identity that reflects their personal career goals through strategically advertising their services to clients using a range of new web technologies and traditional marketing modalities. Upon successful completion of this course, students will be able to determine which marketing tools are most effective and know how to use them. Students will be able to demonstrate a solid understanding of how to leverage offline and online tools, like new media, to drive art buyers to an illustration portfolio website. Students will understand focused methods to present a portfolio online or in person. Finally, students will be able to clearly communicate and implement actionable steps to competitively market their professional illustration services. Students specialize in a single area of illustration for the entire term. They may choose illustration projects in editorial, advertising, book, or institutional areas, in order to explore artwork in a related series of instructor-directed themes. At the completion of this course, the student will have created a series of three related portfolio projects that demonstrate advanced problem solving ability, greater command of a personal style in their artwork, as well as continued improvement in developing skills in illustration methods and materials. For many areas of illustration, the computer is the tool of choice, used in creating sketches, studies and refined finished artwork. 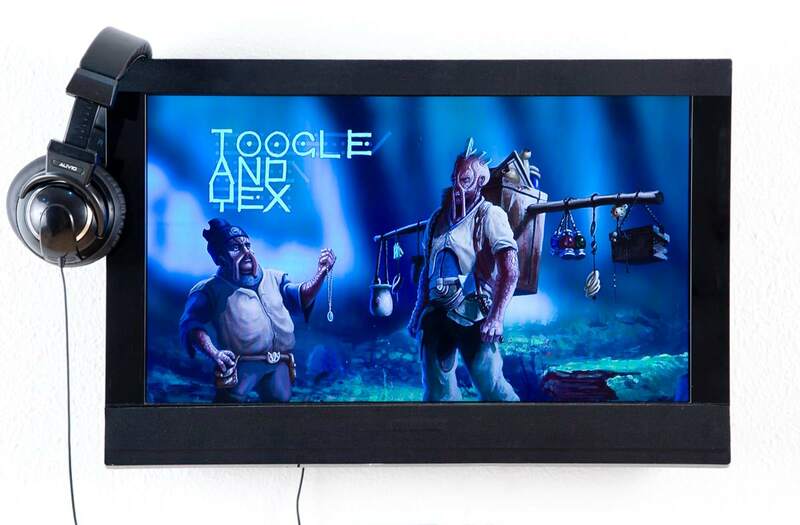 Working from various illustration themes, students will combine traditional skills and materials with the computer to learn a variety of methods for developing their artwork digitally. At the completion of this course, students will have learned the basic tools for raster and vector programs that are used for digital drawing, painting and composition. This course is the second half of Computer Illustration, a course meant for furthering the illustrator’s ability to combine traditional art skills with the advantages inherent in the computer. At the completion of this course, students will have continued their exploration of digital painting methods and learned advanced techniques for raster and vector programs that are used for digital drawing, painting and composition. This course allows senior students to develop their individual illustration concepts within the boundaries of editorial, advertising, or book illustration areas. Timetables and assignment themes are self-directed in consultation with the instructor. Students will gain information on how to set up a small business focusing on pricing, contracts and taxes. Upon successful completion of this course, students will create a portfolio of professional-level work for display in the graduation exhibition. 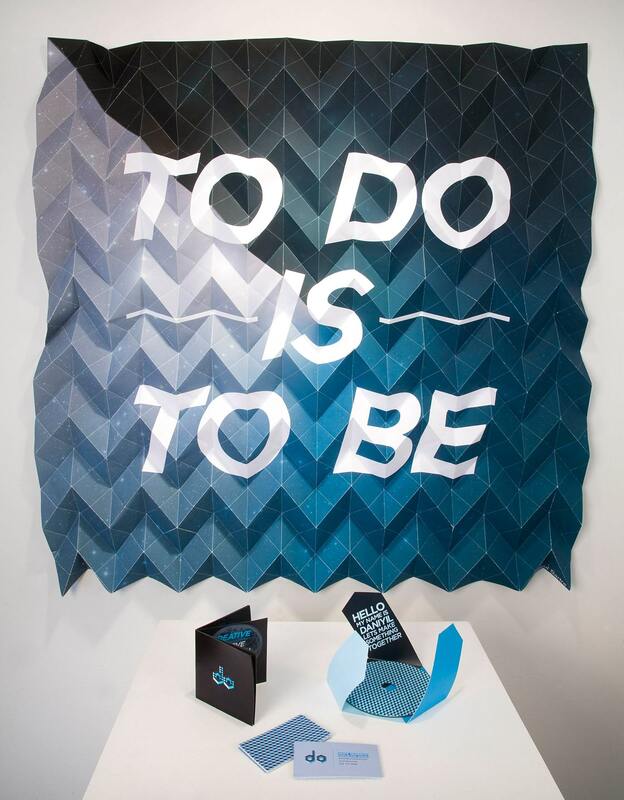 The interior design program at RMCAD offers a unique, forward-thinking focus in sustainable design. Students who choose to pursue this specialization will learn about methods, products, and process that minimize the impact of design and construction on the environment. Our qualified faculty members are working professionals with outstanding credentials. They’ll share authentic insight and guide you through everything from manual and computer-aided drafting, selection of appropriate FF & E (fixture, furniture, and equipment) and implementing construction documents during a build-out process. This freshman-level course provides an overview of the core philosophical and practical principles of sustainable design and introduces students to sustainability as an environmental and social issue. Students explore the interrelated concepts, standards, materials and systems of sustainable design through research analysis and apply that knowledge to inform the integrated decision-making process as it relates to ecological responsibility, the built environment and human well-being. Upon successful completion of this course, students will have an understanding of sustainable design concepts, as well as their implications and approaches in preparation for future design courses and projects. 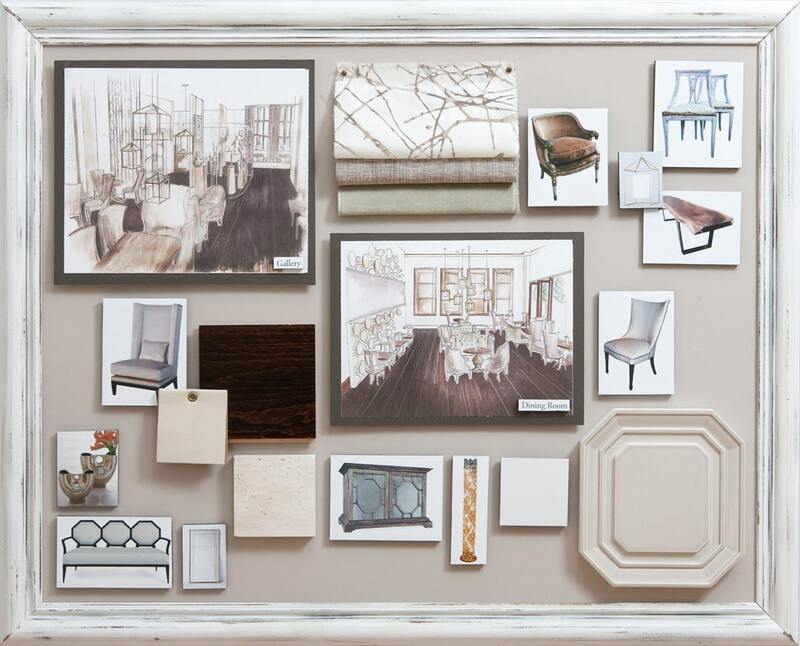 This freshman-level course is an introduction to the interior design profession and practice. The course introduces students to the principles, theories, and practices related to the interior environment and human behavior within a variety of contexts. Students learn terminology and fundamental skills related to interior design and architecture and apply that knowledge using a variety of communication methods and constructs. Upon successful completion of this course, students will have broad perspective awareness of the processes, practices, terminology, and basic skills necessary for continued study; and a foundation for the ethical approach to creating interior environments in the 21st century. This freshman-level course is an in-depth study of the materials and finishes used in interior design. Students learn to evaluate materials and their applications based on their inherent functional, environmental and aesthetic qualities. Emphasis is on the appropriate selection of interior materials within the constraints of environmental stewardship and life safety standards for both residential and commercial use. Upon completion of this course, students will be able to analyze interior finish materials according to functional, responsible, aesthetic and regulatory criteria and specify them for appropriate use in the built environment. Students who have completed 45-60 credit hours are required to participate in a sophomore portfolio review. Students will present original art and design work from Foundations courses where faculty evaluate mastery of foundational skills, and identify strengths and areas of improvement. Art and design work will illustrate competency in visual elements and principles of design, drawing, color theory, and three-dimensional fundamentals. Upon successful completion of the Sophomore Portfolio Review, students transition into their major course of study. This course is Pass/Fail. This sophomore-level course provides students with an in-depth study of the laws, codes, regulations and standards for interior design practice. Emphasis is upon understanding the relationship between interior construction and building systems and occupants’ health, welfare and safety. Students also learn the importance of specification types and how they impact code compliance. Upon successful completion of the course, students will be able to interpret and apply relevant jurisdictional requirements to a variety of design project types. This junior-level course introduces students to the fundamental considerations and processes involved in creating and running a professional interior design business including the legal, ethical, practical and professional requirements involved in interior design practice. Students investigate types of business structures and practices, documents and contracts, professional working relationships with related disciplines, principles of job-cost estimating, and project management methods. Students also investigate and develop effective marketing techniques for themselves in anticipation of their internship, in addition to job placement upon graduation. Upon successful completion of this course, students will have the ability to successfully assess their interior design career options, demonstrate the necessary skills to enter professional practice, and understand the principles and practices of the interior design profession. All seniors who are ready to graduate are required to participate in their departmental senior portfolio review. This pre-graduation portfolio review is an initial step in preparing students to move from the academic environment into the professional world. Specific portfolio requirements and schedules vary by department. Upon successful completion of this review, students will be able to further develop their individual portfolios for entrance into the design profession and/or graduate school. Students will enroll in this version of the course to meet the requirements of the Sustainable Design Specialization. This sophomore-level course examines the functional and aesthetic elements and considerations for residential environments within the context of current design philosophies, contemporary issues impacting housing and shelter, and best practices. Students investigate and apply design solutions for diverse client populations through projects that include appropriate space planning and spatial definition, furniture and finish selections, and presentation methods. As part of the Sustainable Design Specialization, coursework must be completed using the sustainable knowledge and strategies obtained to date. Upon successful completion of this course, students will have the ability to recognize, evaluate, apply and present different residential design alternatives using problem-solving strategies based on socio-cultural needs, contemporary issues for human function and behavior specifically for safe and supportive residential environments. Students will enroll in this version of the course to meet the requirements of the Sustainable Design Specialization. This sophomore-level course provides students with an in-depth understanding and working application of the theoretical principles and issues related to environmental behavior and sustainability as a part of ethical design practice. Emphasis is on industry-specific research methods and problem-solving strategies using conceptual iterations and collaborative charrettes to apply design theories within the context of critical solution-based project presentations. As part of the Sustainable Design Specialization, coursework must be completed using the sustainable knowledge and strategies obtained to date. Upon successful completion of this course, students will be able to demonstrate their knowledge of human behavioral theory as it applies to a variety of healthy, sustainable, and supportive design types. Students in this course develop an understanding of research methodologies and information-gathering for application tot heir senior design project. Emphasis is on the compilation and analysis of research critical to the identification of specific problems using evidence-based design strategies within sociocultural, behavioral, historical, and environmental systems contexts. Upon successful completion of this course, students will have researched, complied and analyzed all information relevant to their senior design project and developed preliminary design concepts for the beginning application of research for their commercial project. The students will complete an organized professional reference source that includes a detailed project proposal, programming analysis and preliminary schematics defending the project proposal. Students will enroll in this version of the course to meet the requirements of the Sustainable Design Specialization. This course emphasizes the development of complex building types and mixed-use occupancies for users with special needs. Students apply knowledge of contemporary issues in the built environment based on research strategies including human behavior, evidence-based design, socioeconomic, cultural and age-related criteria. As part of the Sustainable Design Specialization, coursework must be completed using the sustainable knowledge and strategies obtained to date. Upon successful completion of this course, students will demonstrate advanced abilities to plan and implement design solutions for complex design problems using a variety of communication methods. Students will enroll in this version of the course to meet the requirements of the Sustainable Design Specialization. Students develop and present a comprehensive design project of individual interest in this course. Emphasis is on the application of research completed in the Design Research course to a commercial project that entails all aspects of skill, knowledge and creative problem solving acquired to date. The project must meet the program’s guidelines and departmental approval. Each student presents and defends the finished project to a jury of professional designers. As part of the Sustainable Design Specialization, coursework must be completed using the sustainable knowledge and strategies obtained to date. Upon successful completion of this course, students will demonstrate the ability to complete a comprehensive design project illustrating all of their skills and knowledge as pre-professionals while taking ownership of their individual vision as designers. In RMCAD’s Creative Writing program, students apply the artistic process to their writing. Through comprehensive coursework, students learn to make creative choices, see their work in relation to established forms and genres, and study literary history. Upon graduation, creative writing students will have a thoughtful understanding of writing in contemporary culture and experience writing fiction, nonfiction, and poetry in their established style. 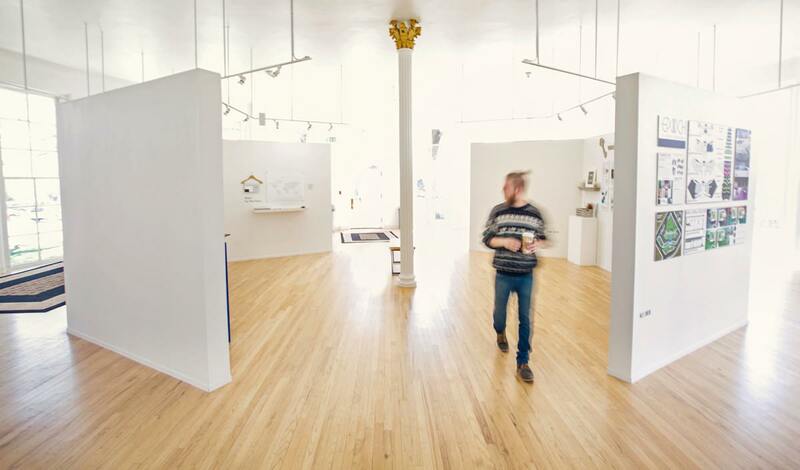 To add to the unique opportunity of studying creative writing at an art + design institution, RMCAD students have the option to engage their craft in writing for the creative industries. Minors include art criticism, scriptwriting for film, and business for the creative industries. Additionally, the program covers technological innovation and its affect on writing and literature, as well as publication processes so that students emerge with a specialized and practical approach to their field. This seminar course focuses on issues, art movements, and criticism from Postmodern to the present. Students investigate Postmodern and contemporary art through the writings of artists and critics, lectures, and readings. Further, students will become familiar with relevant art theory and methodology, learn to conduct research within the discipline of art history, and write knowledgeably on Postmodern and contemporary topics. At the conclusion of this course, students will be able to articulate Postmodern and contemporary art issues, both critically and historically, in relation to larger social and political contexts.